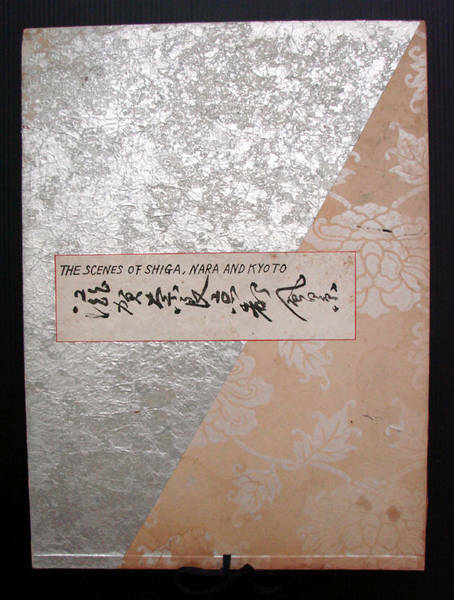 A Complete Set of (6) SIX 1950-60’s Original Japanese Woodblock Prints by the famous artist, Eiichi Kotozuka with original covers and beautiful silver foil studio designed folder case: From the series, "The Scenes of Shiga, Nara and Kyoto". Artist’s chop and publisher seal. 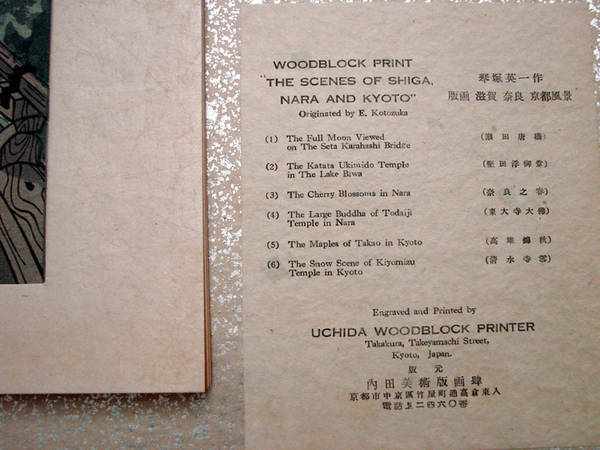 Published by Uchida Woodblock Printing Company in Kyoto. A complete set with the folder is a rare find and depicts the talents of the artist Eiichi. 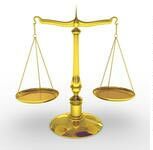 Each original woodblock print is tipped in their individual original presentation folders which measure 10” x 14”. 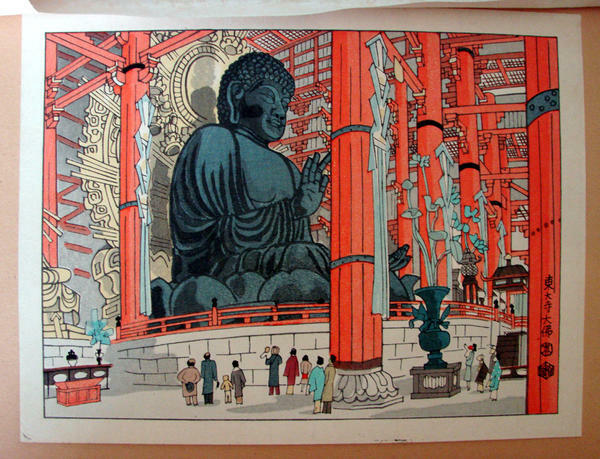 Provenance: Came from a single collector who purchased the entire collection while traveling in Kyoto in the 1960’s. 2. The Katata Ukimido Temple in The Lake Biwa - Pristine - Beautiful image! 6. The Snow Scene of Kiyomizu Temple in Kyoto - Pristine - Gorgeous image!